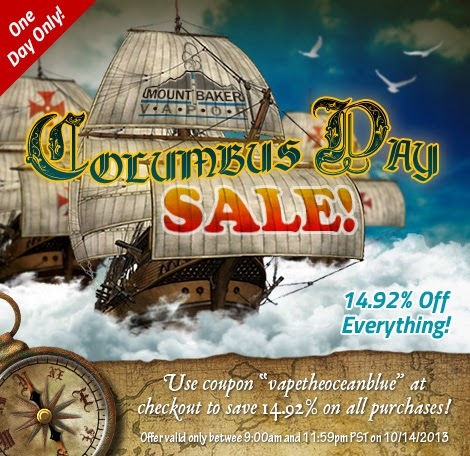 The Columbus Day sale is on! 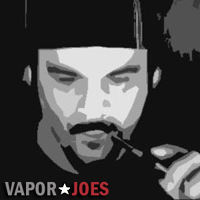 I have been pimping mtbakervapor for their already super low prices on juice – but an extra 14.92% off is a real steal. Now would be a great time to stock up on your favorites or try something new! I can recommend their Ecto Cooler, Solar Flare, Caramel Apple, Hazelnut, and Freckled Lemonade! All their juice is made in house here in the USA. A 15ml bottle is just $4.25! 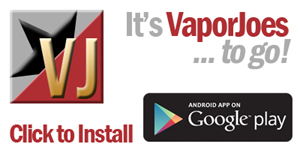 USE COUPON CODE vapetheoceanblue TO TAKE 14.92% OFF YOUR TOTAL ORDER.